If you’ve chosen to install a new conservatory yourself and have the required materials to complete an installation, you’ll still need a professional in conservatory bases. The base for conservatories requires specialist attention because the foundations need to be suitable for the size and design of your conservatory. It would be pointless to pay out so much on a new conservatory and get the fundamental part wrong. 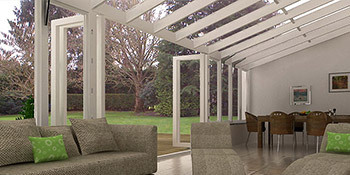 If you’re still unsure on a conservatory for your home, why not read the benefits below and make an informed decision with all the information to hand. The conservatory base is critical to the longevity of your installation and it’s crucial to have this stage completed by a professional. Whether you need a professional company to supply and install your new conservatory, or whether you’ve taken it on as a DIY project, it’s highly recommended to have the conservatory base installed by a reputable professional. Just complete our quick form and we’ll provide you with up to four FREE quotes from local, professional and reputable contractors. Get the basics right and enjoy your dream conservatory in no time at all. Project: Supply AND fit of 2 x conservatory bases; 3.0m x 3.5m and 3.5m x 3.5m with the smaller requiring a drainage inspection access point. Do you Supply AND Fit? Project: Steel Base 4250 x 3750, 650 wall, 240 skirt, 1800 door opening & 870 door opening.